While there is a lot of popular and academic interest in social media, this is the first academic work which addresses its growing presence in the surveillance of everyday life. Some scholars have considered its impact on privacy, but these efforts overlook the broader risks for users. Commonsense recommendations of care and vigilance are not enough, as attempts to manage an individual presence are complicated by the features which make social media 'social'. Facebook friends routinely expose each other, and this information leaks from one context to another. 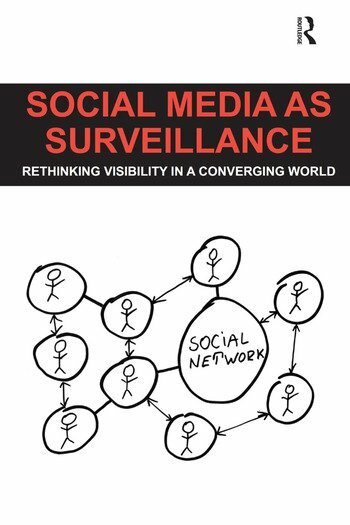 This book develops a surveillance studies approach to social media by presenting first hand ethnographic research with a variety of personal and professional social media users. Using Facebook as a case-study, it describes growing monitoring practices that involve social media. What makes this study unique is that it not only considers social media surveillance as multi-purpose, but also shows how these different purposes augment one another, leading to a rapid spread of surveillance and visibility. Individual, institutional, market-based, security and intelligence forms of surveillance therefore co-exist with each other on the same site. Not only are they drawing from the same interface and information, but these practices also augment each other. This groundbreaking research considers the rapid growth and volatility of social media technology by treating these aspects as central to social media surveillance. Daniel Trottier is a Postdoctoral Fellow in Social and Digital Media at the University of Westminster, UK.